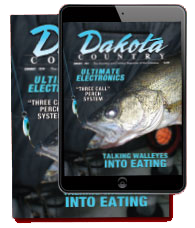 Dakota Country Magazine 2015 Special Fall Edition... Have The Hunting, Fishing and Camping Magazine of the Dakotas delivered! 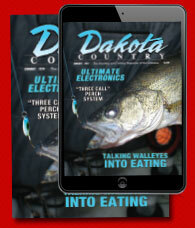 Call 800-767-5082 to active your subscription today! • Letters to the Editory... Limiting Noresident Hunters by John R. Simpson... Dakota Nonresident Waterfowl Tags by John James, Looking for Patches by Dan Kelsey, RDO Not Full Pollinator Friendly by Lex Horan and Still Enjoying the Outdoors by William F. Pich.